For the network-query tool designed to hunt down spammers, see Sam Spade (software). For the Without a Trace character, see Samantha Spade. Sam Spade is a fictional private detective and the protagonist of Dashiell Hammett's 1930 novel, The Maltese Falcon. Spade also appeared in four lesser-known short stories by Hammett. The Maltese Falcon, first published as a serial in the pulp magazine Black Mask, is the only full-length novel in which Spade appears. The character, however, is widely cited as a crystallizing figure in the development of hard-boiled private detective fiction—Raymond Chandler's Philip Marlowe, for instance, was strongly influenced by Spade. Spade was a departure from Hammett's nameless and less-than-glamorous detective, The Continental Op. Spade combined several features of previous detectives, most notably his detached demeanor, keen eye for detail, and unflinching determination to achieve his own justice. Spade has no original. He is a dream man in the sense that he is what most of the private detectives I worked with would like to have been and in their cockier moments thought they approached. For your private detective does not—or did not ten years ago when he was my colleague—want to be an erudite solver of riddles in the Sherlock Holmes manner; he wants to be a hard and shifty fellow, able to take care of himself in any situation, able to get the best of anybody he comes in contact with, whether criminal, innocent by-stander or client. From the 1940s onward, the character became closely associated with actor Humphrey Bogart, who played Spade in the third and best-known film version of The Maltese Falcon. Though Bogart's slight frame, dark features and no-nonsense depiction contrasted with Hammett's vision of Spade (blond, well-built and mischievous), his sardonic portrayal was well-received, and is generally regarded as an influence on both film noir and the genre's archetypal private detective. Spade was played by Ricardo Cortez in the first film version in 1931. Despite being a critical and commercial success, an attempt to re-release the film in 1936 was denied approval by the Production Code Office due to the film's "lewd" content. Since Warner Bros. could not re-release the film, a second version was made. For the 1936 comedy Satan Met a Lady, the central character was renamed Ted Shane and was played by Warren William. The film was a notable box-office bomb. On the radio, Spade was played by Edward G. Robinson in a 1943 Lux Radio Theatre production, and by Bogart in both a 1943 Screen Guild Theater production and a 1946 Academy Award Theater production. A 1946-1951 radio show called The Adventures of Sam Spade (on ABC, CBS, and NBC) starred Howard Duff (and later Steve Dunne) as Sam Spade and Lurene Tuttle as Spade's devoted secretary Effie Perrine, and took a considerably more tongue-in-cheek approach to the character. George Segal played Sam Spade, Jr., son of the original, in the 1975 film spoof, The Black Bird. The Black Bird was panned by both critics and audiences alike. Peter Falk delivered a more successful spoof the following year as "Sam Diamond" in Neil Simon's Murder by Death. This was preceded by the spoof character "Sam Diamond" in the 1965 Addams Family episode "Thing Is Missing", portrayed by Tommy Farrell. In 2009, with the approval of the estate of Dashiell Hammett, the veteran detective-story writer Joe Gores published Spade & Archer: The Prequel to Dashiell Hammett's THE MALTESE FALCON with Alfred A. Knopf, the original publisher of Hammett's The Maltese Falcon. 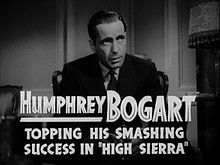 The Black Bird (1975, Columbia), a comedy sequel to the 1941 film, starring George Segal as "Sammy" Spade, Jr.
Screen Guild Theater: "The Maltese Falcon" (1943, CBS: 30-minute version of the story, starring Humphrey Bogart as Spade, Mary Astor as Brigid O'Shaughnessy, Sydney Greenstreet as Casper Gutman, and Peter Lorre as Joel Cairo. The Maltese Falcon (2009): Grammy-nominated audio play, starring Michael Madsen as Spade, Sandra Oh as Brigid and Edward Herrmann as Gutman, produced by The Hollywood Theater of the Ear and published by Blackstone Audio. Single-page comic strips, appeared in newspapers, magazines, comic books. Tie-in with radio show The Adventures of Sam Spade, which Wildroot also sponsored. Artist: Lou Fine. Spade was highlighted in volume 21 of the Detective Conan manga's edition of "Gosho Aoyama's Mystery Library", in the section (usually the last page) where the author introduces a different detective (or occasionally, a villain) from mystery literature, television, or other media. The Broadway is My Beat episode titled "Jane Darnell" uses Sam Spade's detective license number, 137596, as the Vehicle Identification Number (VIN) of the car used by the episode's three murder victims. The "Night Beat" episode titled "Big John McMasters" uses Sam Spade's detective license number, 137596, as the license plate number of John McMasters' automobile.